In the framework of the cooperation dialogue between Humanitas360 and the Inter-American Development Bank (IDB), Piero Bonadeo, Humanitas360 Vice President, joined Ms. Maria Luisa Romero, Vice Minister of Government in Panama, Mr. Miguel Rodriguez, Director for Latin America at YouthBuild, Ms. Ryssa Brathwaite, Citisen Security Programme, Government of Trinidad and Tobago, to address participants in the Intensive Clinic on Citizens Security Training. This Clinic promoted dialogue on promising experiences in violence and crime prevention. 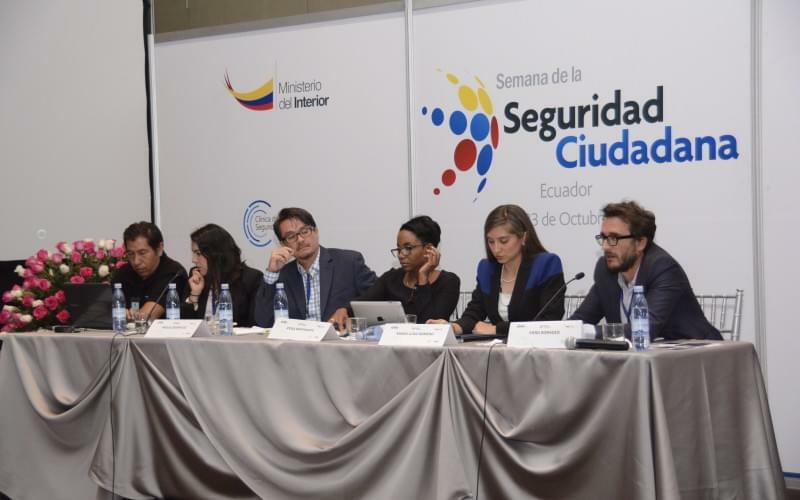 It gathered national, subnational and international authorities and managers, as well as scholars, experts and other public and private stakeholders involved in this area, and IDB specialists in charge of citizen security in LAC. Humanitas360 introduced its innovative approach relying on citizens’ empowerment, targeting in particular young citizens (millennials and the edges) from vulnerable communities in Brazil, through social entrepreneurship, cross-fertilization and inspirational methodologies. Humanitas360 presented examples of promising and innovative projects targeting rehabilitation and social and economic reintegration of incarcerated individuals and their effective reintegration after prison, and social prevention of violence against youths. Humanitas360 joined the list of more than 700 delegates, including senior country officials, government technical teams, representatives from civil society organizations, and IDB specialist staff working in the citizen security field that attended the clinics, representing most of the countries of Latin America and the Caribbean.